A perfect gift for the baseball fan in your life. 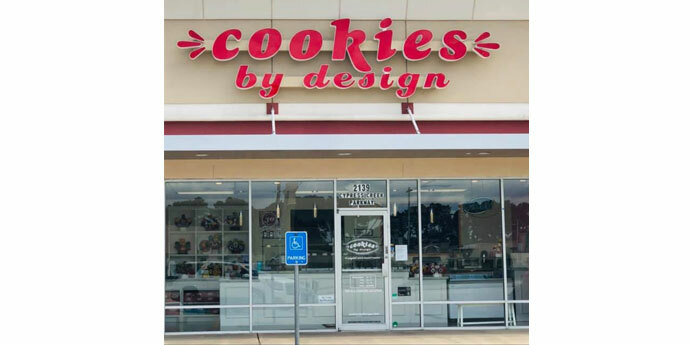 For nearly 30 years, Cookies by Design Houston has been helping customers with their gift giving needs by providing beautifully decorated cookie arrangements, gift baskets, an extensive gourmet cookie selection, decadent cupcakes, as well as other specialty gifts. Originally located on Rice Blvd in the West University area, we have since relocated to the Medical Center area and will soon be expanding by adding a location in the Northwest Houston area. 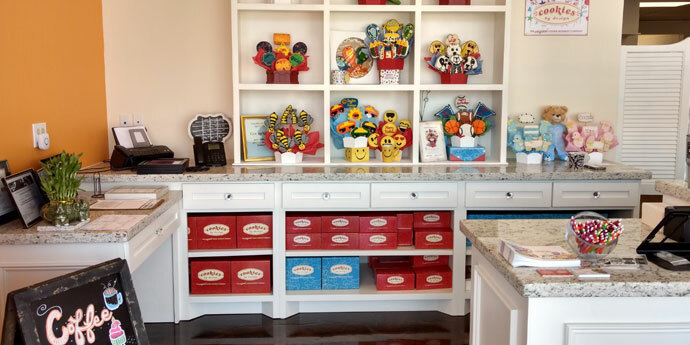 We designed our Medical Center location to include anything and everything sweet with the notion to be a one stop gift and sweet shop that can offer friendly and quick customer service. Looking for a gift for someone in the hospital, at the office, a new business client, or just something for you, we’ve got it all. Our cookie experts are here and ready to create something special for you, including custom cookie bouquets, company logo cookies or even photo cookies. Corporate accounts are welcomed! Have a gift basket delivered to someone special and you can even include something extra to brighten their day like a balloon, a balloon bouquet, or a stuffed plush toy. Stop in our bakery in Houston located on Old Spanish Trail @ Fannin, just across from The Women’s Hospital and catch the aroma of our made from scratch, fresh baked gourmet cookies, cupcakes, pies and desserts, along with handmade truffles and assorted candies. We also offer coffee, milk, Italian sodas and soft drinks, so stop in for a treat today! We offer gift and cookie delivery to the entire Houston market serving Downtown, Mid Town, Medical Center, Inner Houston, SW Houston, Sugarland , Missouri city, and Galleria. We will deliver to local hospitals such as The Women’s Hospital, the world renowned MDAnderson Hospital, Herman Hospital, Ben Taub, Methodist Hospital and The Veterans Hospitals as well as local universities such as University of Houston, Rice University, Lone Star College, Baylor College of Medicine and MDAnderson Health and Sciences. Look for our daily specials, and weekly promotions. Upon visiting don’t forget to enter your office for a FREE BouTray of Cookies!